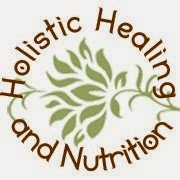 Earlier I told you about my first appointment with Kara at Holistic Healing and Nutrition in Poughkeepsie, NY. It has been several weeks since then, I have been taking my prescribed supplements regularly and I feel great. Very healthy. In fact,I have never felt better. I feel strong, and I dont have any allergy symptoms. I am regular and have no digestive issues. I would still like to lose a few more pounds before my birthday , but that is a matter of getting to the gym more and adding more weight training as my nutritional intake is as good as it is going to get(lots of fresh fruits and veggies from the CSA and delicious home cooked fish and chicken dishes). At my follow up appointments Kara checks me to make sure that the supplements that I am taking are making me stronger and that my organs are functioning correctly. It is not a long appointment (which is great as we seem to always be rushing off somewhere lately), and she is efficient and friendly. My numbers seem to be going up,and it is looking effective and working great. I will continue to update you on the state of my nutritional health and after today's appointment, I will let you know where everything stands. I am about a month away from turning 40 and I feel wonderful!! !